Are you considering working towards the PATH Intl. 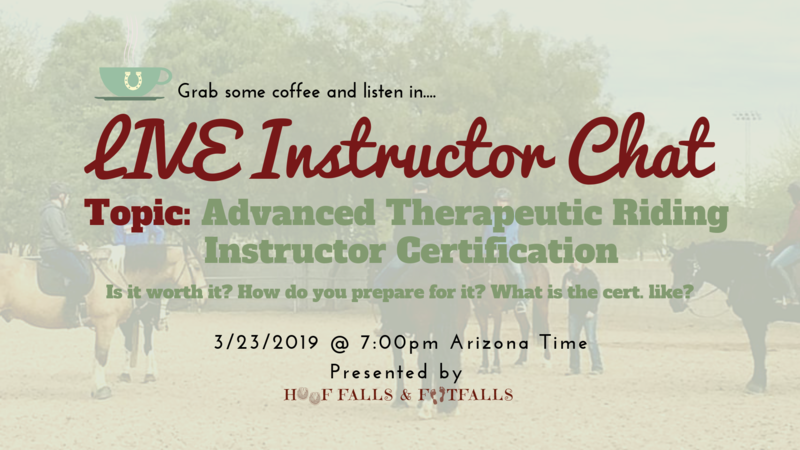 Advanced Therapeutic Riding Certification but want more information before you decide to begin the process? Are you currently in the process of preparing for the Advanced Certification and want some tips for a successful prep and test? Join in for the March LIVE Instructor chat and we will be talking all about the PATH Intl. Advanced Therapeutic Riding Instructor Certification! I’ve heard it’s impossible to pass…is that true? Note: This presentation is in no way endorsed by PATH Intl. and may not reflect the views of the main office. The information provided in this discussion is a reflection of my own experience and opinions. Some tips from other Advanced instructors will also be included.